One-to-one (1:1) support gives Participants the opportunity to develop skills, build independence and reach goals in their areas of interest both in the community and at home. 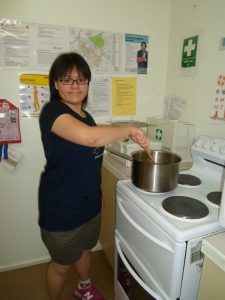 Lifeskills can provide supports 24 hours a day, 7 days a week for a variety for activities based on individual needs. Participants have the option of accessing one-to-one support Monday-Friday or Weekends. If this sounds like the kind of support you’re interested in, or to find out more, get in touch with Lifeskills today!